This post has been updated. Please click through the jump for more information. 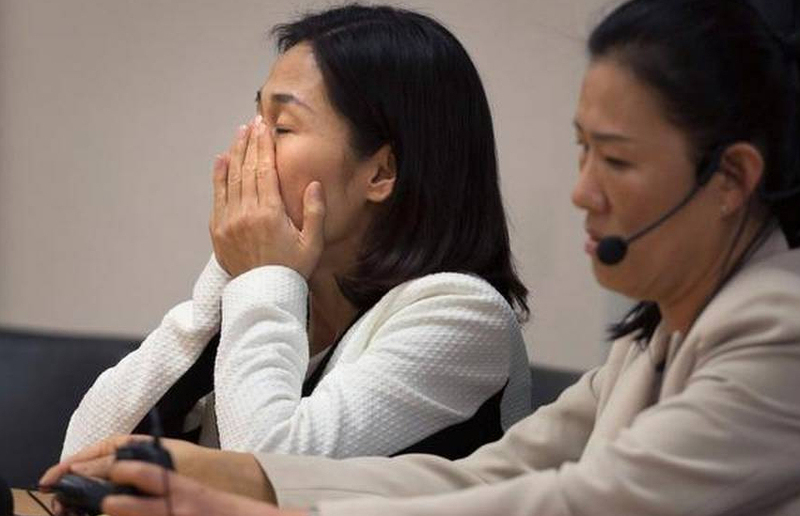 An hour ago, the judge in Nan-Hui Jo’s child abduction case rejected the motion to dismiss the guilty verdict against her, and sentenced Jo to 175 days of jail (counted as time served) and three years probation. A jury found Jo guilty of child abduction last month — despite errors in jury instructions highlighted by Jo’s defense in their motion — after Jo fled an abusive relationship she believed endangered both herself and her child and (because she lacked documentation to remain in the United States) returned to Korea. Jo’s conviction on the child abduction charges now stand (and likely await an appeal) which significantly complicates her fight to regain custody of her six-year-old daughter, who is currently being cared for by Jo’s abuser, the child’s father. Meanwhile, because Jo is not a U.S. citizen, ICE placed a deportation hold on her. After her sentencing today, Jo was transferred to ICE custody and is being detained in an ICE facility pending a decision on deportation. With this move, Nan-Hui Jo is likely to become one of the thousands of immigrant parents separated from their families by ICE deportation. This is a devastating setback for Nan-Hui Jo and her supporters. The community is urged to contact ICE Sacramento, and to tweet @icegov and @customsborder and urge them to drop the deportation proceedings. Supporters are currently awaiting Jo as she as processed out of county jail and released to ICE. This post will be updated with details as they emerge.